They are now 6 years old. On Feb. 29, 2008 (Leap day) our oldest daughter had twins. 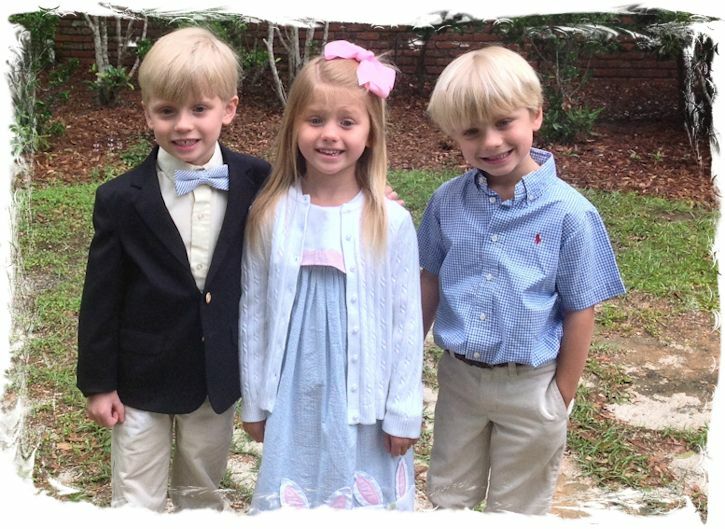 Amelia and Kinney Kinnebrew. 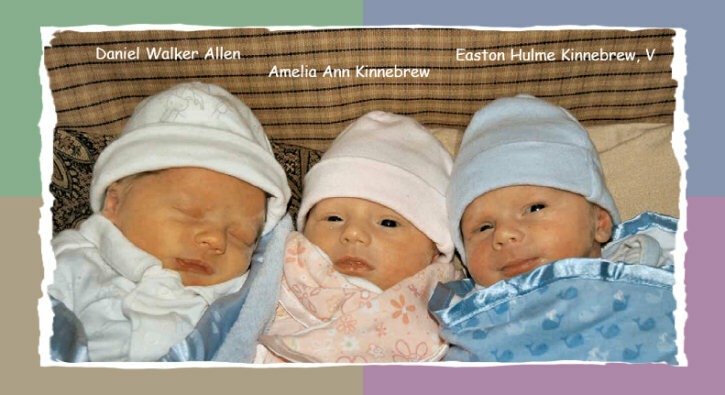 Their full names are Amelia Anne Kinnebrew and Easton Hulme Kinnebrew, V.
On March 4, 2008 (just 4 days later) our youngest daughter gave birth to Daniel Walker Allen (Walker).